So this weekend we decided we have to start calling my roommate deck because there are too many Ashley’s around. Last night I was craving linguine with clams. When I woke up I was still craving it (weird craving at 8:30 am…) so I decided to make it tonight. I adopted the recipe from BA. I halved the recipe, increased the herbs, added chives, and chopped the clams (whole foods only had cherrystone clams at the end of the night and they’re pretty big so cumbersome to keep in their shells). A fun roommate dinner and easy for the weeknight. Now we’re watching the originals (step down from vampire diaries). What’s the recipe you and your mom use? 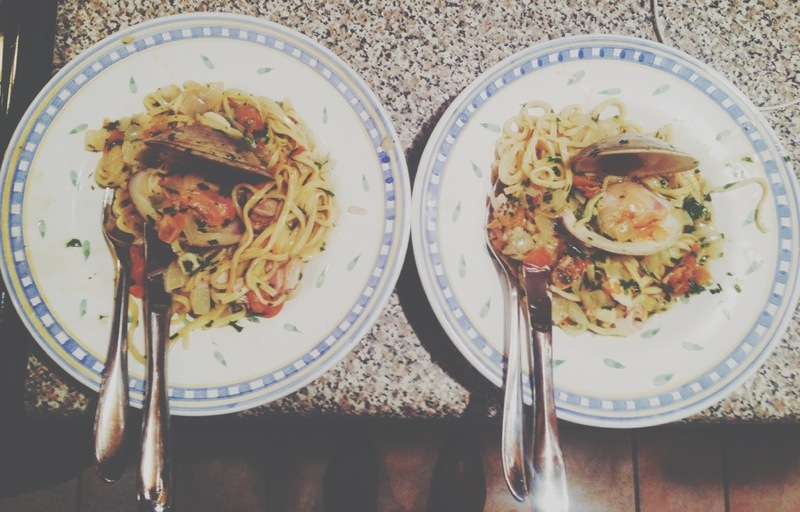 This entry was posted in weeknight and tagged clams, linguine, roommate. Bookmark the permalink.